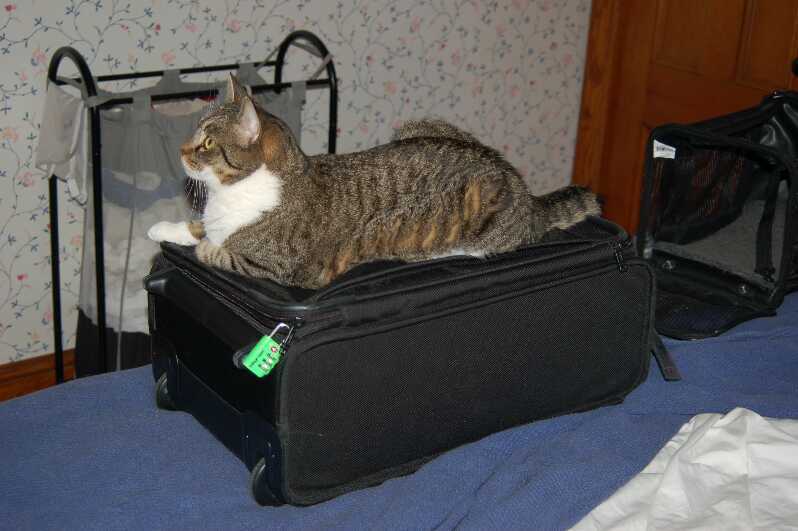 Summerhill Kitten Farm: Photo Friday: Can I go too? As previously noted, Billy likes to stowaway on trips, even though once he gets out of the house he realizes that he hates cars. Two other things about this picture may not be immediately obvious, though. First, note the empty cat carrier behind him. This is an attempt to decoy him so that I can pack in peace. Sometimes it actually works. Second, note his alert focus on the area to the left of the frame. That's where the pompom shelf is. Luggage is good, but pompoms are better!